As I stared in the mirror, tears streaming down my face, I hated what I was seeing. There I was, two months postpartum with a milk-stained nursing tank top, stretch pants that seemed to highlight every roll, and stretch marks on my lower stomach that looked like a barcode. I had just brought this beautiful life into the world and got to hold him in my arms; I should be feeling like the luckiest mama. Instead, I was filled with self-loathing and self-consciousness. I would like to think it was the hormonal imbalances of the postpartum period making me so emotional as I stared at my reflection. But truthfully, I’ve had body image issues since puberty, that societal weight on my self-worth at every stage of life. At 13, I was not curvy enough and I didn’t wear the right clothing. At 16, I was too curvy for those hip-hugger jeans I insisted on wearing because everyone else was. At 20, I couldn’t tame my naturally curly hair and battled a hot iron even though I hated it. And at 25 and 27 and 29, I have stared at that flabby belly and bumpy thighs and cursed myself for indulging in my favorite ice cream during my pregnancies. I don’t see myself as I should—as a daughter of the King, beautifully made, in exactly the way I should look. I allow those inner critics to take hold when I zoom in on every perceived flaw or unruly hair texture or bumps and rolls. Maybe for you it’s not measuring up at work or at school, up to this imaginary standard of achievement where you’d like to derive your worth. Maybe you can’t rejoice in a loving relationship because you’re sure you’re not worthy. 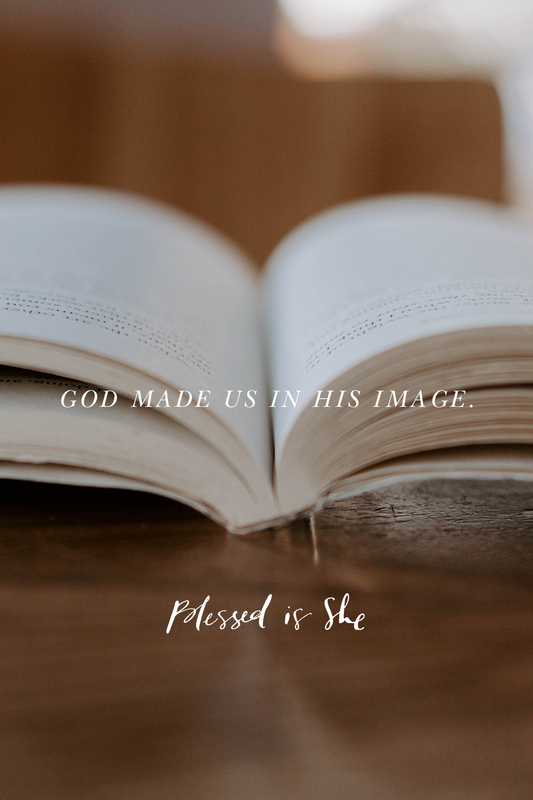 But what if instead of picking ourselves apart, in all the habitual ways we do, we remember God made us in His image and likeness? Silence the inner critics that say we aren’t enough. Let’s appreciate the beautiful existence and body God has gifted us with. Listen to the music of this Doctor of the Church and treasure the body God has given you today. thank you for this…hit home in many ways. it was much needed. I believe we have the opportunity to encounter the grace of the Holy Spirit everyday in our needs and your blog post on Silencing the Inner Critics is just what I needed to hear in my own life right now. Struggles with multiple physical afflictions over the last 7 years, 19 different surgeries, and the normal changes of growing older have made it impossible for me to even look at myself in the mirror. Some days I don’t even recognize myself. And my physical therapy is truly torture not because of the pain or exercises but because I often have to look in the mirror to watch myself do them! Thank you for reminding me that I am made in God’s image and likeness….that I am good because all that He has made is Good. I may be broken but I am beautifully broken. Thank you for being so real, Samantha! When we look critically at ourselves we do harm in two ways: we do not appreciate God’s creation and we do not honor God. When we look critically at ourselves, we fail to look at God and appreciate Him, trust Him, or show gratitude to Him for the life He has given to us.